Sunday saw French citizens vote in the first stage of their presidential elections, with a second run-off stage for the two lead candidates Emmanuel Macron (of En Marche!) 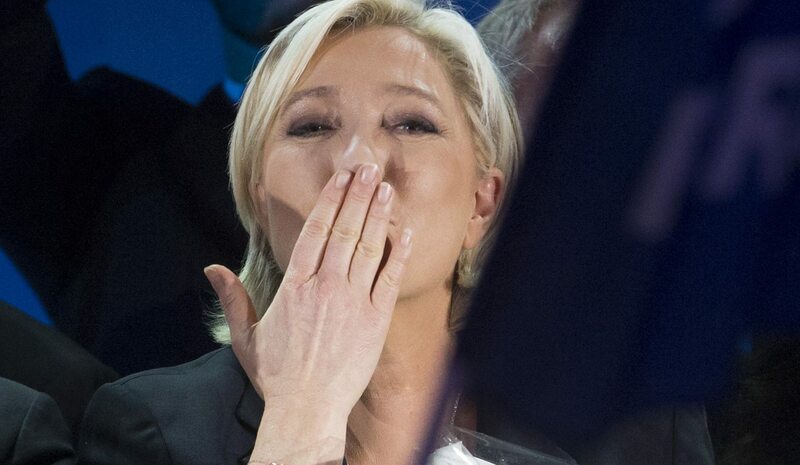 and Marine Le Pen (of the National Front) scheduled for 7 May. While it is premature to discuss the winner of the run-off election and its implications, the interesting conversation must begin now, beforehand, for it is one about opinions rather than outcomes – opinions that veer strongly towards politics’ favourite new buzzword: populism. By CARMEL RAWHANI. Populism is hard to define, largely because it doesn’t involve a holistic view of how political, economic and social issues should be governed. It is dangerously simplistic, in that it is rooted in dividing. Populists split a population into two groups, consisting of a “majority” representing “the people” versus a constructed corrupt elite who must be unseated from power. Populist politicians use this platform, usually infused with nativist, xenophobic, racist, or misogynistic sentiments, to gain support for their often authoritarian-leaning, rights-violating approach to leadership. While polls indicate that the run-off election will be won by Macron, France’s centrist candidate, the list of key candidates in the first round points to the fact that a significant proportion of French citizens support populist ideals on the far-right and far-left of the political spectrum. These populists promote ideas that marginalise and divide society at a pivotal moment in European and world history. While France’s new president may not be populist the top three populist candidates (Fillon, Le Pen, and Mélenchon) won a collective 60.9% of the vote. This wave of populism matters beyond France and its elections. In fact, the impact of populism in Europe has perhaps been dangerously underplayed. In France the populist platforms of election frontrunners Le Pen, who is outspokenly anti-immigrant, and Mélenchon, a radical Eurosceptic, alarmed the country’s more centrist (and non-populist) voters. Examples of the spread of populist ideals across Europe abound. The most obvious, perhaps, was the outcome of Britain’s referendum in June 2016, where a majority of voters chose to leave the European Union. Politicians campaigning on populist platforms or as representatives of openly populist parties won significant portions of the official vote (though they did not win overall) in the German presidential elections in February, and the general elections in Lichtenstein (February) and the Netherlands (March). Earlier this month, populist party candidate Aleksander Vucic won the Serbian presidential elections, and while the Slovenian presidential elections in December 2017 are too far away to call, troubling populist platforms have begun to unsettle political balances there too. Recently, populism has also impacted politics in Hungary. Prime Minister Victor Orban has driven a bill through parliament targeting institutions like George Soros’ Central European University, long seen as a hub for free thinking against populist authoritarianism increasingly taking hold in the country. The rise of populism in Europe is not only real, it is really worrying. Ratings giant Fitch has labelled geopolitical risk as a major threat to the continent. The coincidence of the rise in populism with the timing of a number of key European elections this year was a major causal factor for this risk assessment, because as political unpredictability increases, so too does the potential for disruptive change. Fitch highlighted Western European countries as being particularly vulnerable. Beyond the financial industry, Human Rights Watch says the spread in populist political rhetoric has seen political leaders in Europe “trampling on rights in the name of the majority”, according to Executive Director Kenneth Roth. Further afield, populism saw Donald Trump win the US presidential elections in November 2016. Latin America experienced a resurgence of populism in 2006 as countries from Argentina to Costa Rica saw the disintegration of long-standing dominant parties rooted in patronage and exclusive privilege.